Beehive Botanicals is pleased to introduce Propolis dietary supplement. 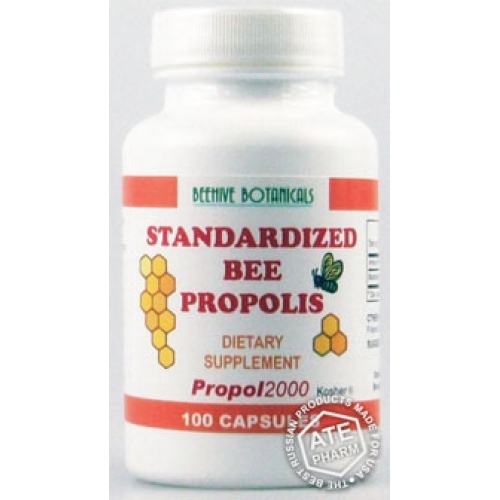 Standardized Bee Propolis contains bee propolis concentrate. The ancient Greeks, Romans and Egyptians were very much aware of the healing properties of Propolis and made extensive use of it as a medicine. Propolis Is a 100% natural product. Has no side effects. Is a powerful immune booster. Fights aging through elimination of free radicals. Helps your body to protect itself against illness and disease. Propolis strengthens the immune system. Stimulates white blood cells. Protects the body from oxygen free radical damage. It is apparent, that Propolis has many nutritional and energetic benefits.